A MENTOR is someone who has been to where you want to go and knows some of the best routes to get there. Think of a mentor as an Indian scout. He knows the country and terrain, brings back advanced reports on what is up ahead, and leaves all the decisions to you. 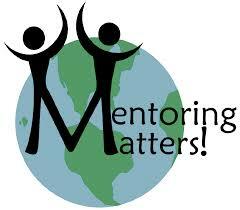 The mentor doesn’t control you; he helps you reach your objective. Will meet: ?????? For information on future groups or consideration for an invitation to the REBEL ONE group and where our times will be, contact me through Chosen-rebel@hotmail.com. This group is to help pastors begin the process of thinking through how they can expand their church’s evangelistic footprint through church planting, multi-site options and preaching points. This group is for pastors who want to explore “INTENSELY LOCAL” ministry. Your church has 100 families or 200 families, or 600 families in regular attendance. How do you mobilize and train them to reach their 5 closest neighbors with the gospel? Come and find out. Contracted Mentoring coming. Stay tuned. Are these groups meetings located in the Chicago area? REBEL ONE starts next Tuesday and will meet at the Libertyville Evangelical Free Church in Libertyville, IL. REBEL TWO will start in August (Lord willing) and is up for grabs as to where it will meet. I have a friend in northern IN who is willing to mentor church planters if you are looking for someone to bounce ideas off. Thank you for meeting with us today at Trinity even as you care for your mom who is sick. May God continually cover you and your family with his joy and celebration over your mom’s life of service to others in Christ. May God cover your family with traveling mercy to be with your mom.